Professor Sam Goundar holds a PhD in Information Technology from the Atlantic International University, Florida, United States of America, an MBA in Management Information Systems and BA in Computer Science and Information Systems from the University of the South Pacific, Suva, Fiji. In addition, he also holds a Graduate Certificate in Tertiary Teaching from the University of the South Pacific, Fiji, an Advanced Certificate in Cyber Security, Hacking Countermeasures and Cyber Warfare and Terrorism from Charles Sturt University, Australia, a Certificate in Quantum Computing from the University of California, BerkeleyX – edX, USA, a Certificate in e-Learning from the University of Waikato, New Zealand and Certificate in ICT for Sustainable Development from the United Nations University in Macau, China. He is a Microsoft Certified Professional (MCP), Certified Computer Service Technician (CST) and Examination Administrator with ETA-I, Certified Network Security and Forensics, and was awarded as one of the Emerging Leaders of the Digital World in 2013. Professor Sam Goundar has more than 33 years of academic and industry experience. At the moment, he is teaching Management and Information Systems at Victoria University of Wellington’s partner institution in Malaysia. Prior to this, he was teaching Information Technology at the Bay of Plenty Polytechnic, New Zealand and Computer Science at the University of Waikato, New Zealand at their joint campus in Tauranga, New Zealand. He was also a Research Fellow in e-Governance with the United Nations University in Macau, China and taught Computer Science and Information Systems at the University of the South Pacific, Suva, Fiji for several years and the University of Fiji, Lautoka, Fiji. His industry experience includes being the IT Manager/Advisor for the Office of the Attorney General of Fiji, Director/Manager at the Australian Pacific Tertiary Institute, Fiji, Supervisor of Information Technology at the University of the South Pacific, Fiji and Computer Operations Supervisor with the Ministry of Primary Industries, Fiji. 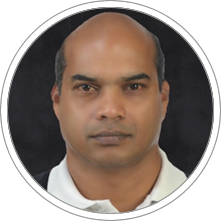 Professor Sam Goundar is the Editor-In-Chief, International Journal of Fog Computing (IJFC); Editor-In-Chief, International Journal of Cloud Applications and Computing (IJCAC) and Section Editor, Journal of Education and Information Technologies (EAIT). He is also on the Editorial Review Board of more than 20 high impact factor journals and organising chair of several annual conferences. Professor Sam Goundar is a Senior Member of IEEE, a member of Australian Computer Society, a member of the Institute of Information Technology Professionals, New Zealand, and Past President of the South Pacific Computer Society. He also serves on the IEEE Technical Committee for Internet of Things, Cloud Communication and Networking, Big Data, Green ICT, Cyber Security, Business Informatics and Systems, Learning Technology and Smart Cities. He is a member of the IEEE Technical Society and a panellist with the IEEE Spectrum for Emerging Technologies. As a researcher, apart from Blockchain, Cryptocurrencies, Fog Computing, Mobile Cloud Computing and Cloud Computing, Professor Sam Goundar also researches in Network and Cyber Security, Social Networking, DDoS Attacks, Educational Technology, MOOCs, Artificial Intelligence, ICT in Climate Change, ICT Devices in the Classroom, Using Mobile Devices in Education, e-Government, and Disaster Management. He has published on all these topics. He was a Research Fellow with the United Nations University. Goundar, S. & Bhardwaj A. (2017). Security challenges for cloud-based email infrastructure. Network Security, 2017(11), 8-15. Goundar, S. & Bhardwaj A. (2017). Comparing single tier and three tier infrastructure designs against DDoS Attacks. International Journal of Cloud Applications and Computing, 7(3). Goundar, S. & Appana, S. (2016). Mainstreaming development policies for climate change in Fiji: A policy gap analysis and the role of ICTs. In Ganpat, W., & Isaac, W. (2016). Environmental Sustainability and Climate Change Adaptation Strategies (pp. 1-31). United States of America: IGI Global. Goundar, S. & Bhardwaj A. (2016). Designing a framework for cloud service agreement for cloud environments. International Journal of Cloud Applications and Computing, 6(4), 83-96. Goundar, S. (2014). The distraction of technology in the classroom. Journal of Education and Human Development, 3(1), 211-229. Goundar, S. (2013). A cloud-based environmental impact assessment expert system – A case study of Fiji’s EIA process. International Journal of Artificial Intelligence and Expert Systems, 4(3), 45-61. Goundar S. (2012). Cloud computing: Understanding the technology before getting “clouded”. In Gaol, F. (Ed. ), Recent progress in data engineering and internet technology. Lecture notes in electrical engineering, Vol. 157 (pp. 217-222). Heidelberg: Springer. Goundar, S. (2011). Deregulation and control in international education: What happens in private training establishments in New Zealand? International Journal for Educational Integrity, 7(2), 53-62. Goundar, S. (2008). The role of ICT in revising and disseminating the laws of Fiji. Journal of Global Digital Business Review, 3(1), 152-161. At the moment, Professor Sam Goundar coordinates the degree programme and teaches Management and Information Systems at Victoria University of Wellington’s partner institution in Malaysia and Affiliated Professor at CENTRUM Católica Graduate Business School.